I have been advertising with Super Savers Coupons for over 6 years. They have been an important part of our growth. At Smitty's Auto we have been in business for over 75 years and since I purchased the business from my father, we have been advertising with Blane's company. We have received 10-fold in return each mailing. I'd recommend Super Savers Coupons to ANY small business because it's cost effective and I really love their customer service." See our new mobile application! The SuperSaver Coupon Mobile App creates numerous options to reach your potential customers. Introduced in July 2011, the mobile app is growing by hundreds of subscribers each month. The web app site is easily navigated by customers and controllable by our advertisers. Offers can change as needed and potential customers are notified each time the offer changes if they have the merchant in their favorites. Number of redemptions can also we controlled by the advertiser. The mobile app is becoming more and more popular each month as new customers join the site. Click here to learn more about our Mobile App! Click below to view our coupons! Did you know that we have a mobile web app that allows you to redeem and use coupons directly from your mobile device? We have made signing up and using it so easy! 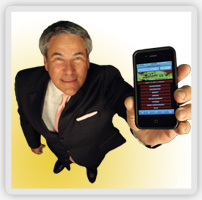 Simply go to www.supersavercolumbia.com on your mobile device to get started! Click here to learn more about our Mobile App! © 2019 SuperSaver Columbia - TranterGrey Media. Augusta, GA. All Rights Reserved.